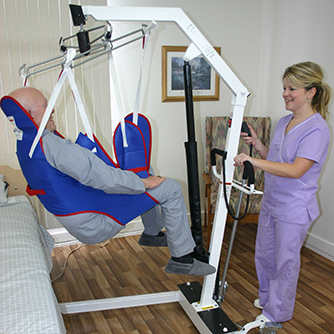 VANCARE offers a wide array of mobile floor lifts to safely transfer people weighing up to 1000 lbs. while significantly reducing the risk of injuries among caregivers. 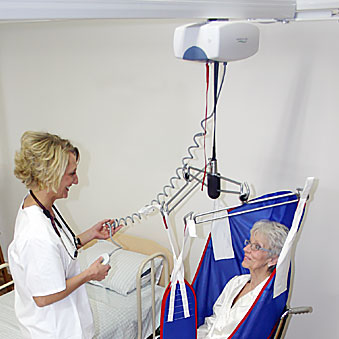 VANCARE offers Vander-Track fixed and bariatric ceiling lifts, and a line of portable ceiling lifts to safely transfer a person to and from their bed or wheelchair. Caregivers will find them easy to use and will appreciate how they help to prevent injury to those they are transferring as well as themselves. 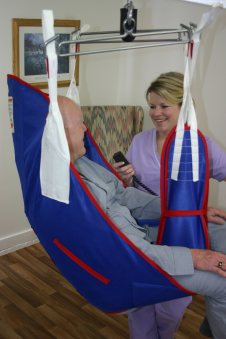 VANCARE slings comfortably accommodate the individual being transported, and are easy for the caregiver to use and clean. We offer a large selection of slings for all of our lifts, including slings capable of safely transferring people of most any weight. VANCARE is one of the few companies in the Safe Patient Handling market that manufactures it's lifts and slings from start to finish. We take pride in our workmanship and quality. "Made with pride in the USA" is a slogan we take to heart. This high-tech Service Data Toolkit option for the Vander-Lift II and Vera-Lift II Series II lifts gives you the ability to read out service data on your monitor. The VanTurn increases self-confidence in residents who are able to use their own ability, which results in both psychological and physiological advantages to everyone involved. We have a full offering of patient lifts. 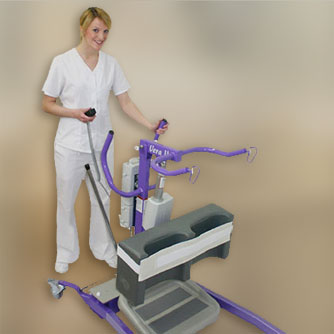 Full body lifts to sit to stand lifts, bariatric lifts. They are divided into seperate categories.